While you all can go and research the fundamental differences between OLED (Organic LED - been on the market now for ~2+years (mostly LG), and the 'new kid' on the block QLED (Quantum dot LED) which has just come out recently (Samsung) I am going to relay my experience in examining side by side two monitors of said technologies. Over the T-Day/Black Sales Frenzy weekend I popped in to my local BestBuy. Truth be told I've been looking at the LG OLED sets since they were first released... just didn't have the cash nor was 4K a pressing priority (very happy with 1080p and upscaled 1080i!) But from initial glance - those 4K OLED displays were impressive! This past weekend got a salesperson... we went in to the 'Magnolia A/V' section of Best Buy to fire up content side by side between a LG OLED and and a Samsung QLED set. While maybe the OLED seemed infinitesimally sharper, the QLED seemed to be more 'vivid.' Saleman said, lets up the 'contrast - dynamic setting' of the OLED, which he did which seemed to bring the OLED screen presentation on par with the QLED... with one GLARING observation. With the contrast 'upped' on the OLED, there was over-saturation on anything with greys and blacks. Case in point, the scene was a guy with a grey suite with patterns in the material... it was always darker/almost blackened with the upped OLED contrast - whereas the QLED had no problems displaying the various gradations/subtleties of grey and black. Now, if you went back to normal contrast setting for OLED - no problems with blacks and greys... yet the screen presentation doesn't seem as 'rich' or 'full' as the QLED presentation. I don't know enough about QLED to judge motion or other areas of performance... but I must say... I was really taken aback by the poor performance of the OLED technology in the grey/dark/black areas.... especially since the higher contrast performance #s is suppose to make this technology a 'super star' in this area. I was vastly underwhelmed by OLED in comparison to QLED. This is something I did not expect! The QLED is brighter which gives it a pop value. I am not a fan of any brand, just what works. With that said, you need to research your Samsung's. And.. try to demo again somewhere else. I have a Samsung now and have had good luck with it, knock on wood. When I started looking for a new TV I was pretty set against Samsung due to some issues friends had coupled with numerous owner complaints and reviews online. Appears that some are great while others not so much. I guess you can expect that, to some degree, from a company that is as huge as Samsung. Having said that I was able to view the same OLED v QLED setup and was impressed with the great color and black level of the Q. I, like the original poster, didn't have a chance to get in to real testing with action. Is a brighter TV picture better or is it like brighter brickwalled music, which may grab your attention, but becomes annoying in short order? Good question. I think some of the allure is the stunning, bright, lush colors...but, without actual reference testing it's hard to gauge how accurate they are, as well as if that kind of picture will present some level of fatigue. Thats the illusion we've been tricked to believe, that brighter is better. But thats not the case. I've been lucky enough to have an LG OLED for awhile now, and let me tell you I'm starting to learn how to appreciate contrast and brightness like its supposed to be. I at first, like most probably, thought the OLED was overly dark and wasn't giving off enough light to see a lot of the picture. Than after some studying and viewing the right video sources, I realized that having a television that can produce absolute blacks means that I dont need to have a television that can get as bright as the sun. Yes, Samsung TV's can produce "brighter" whites, but after a certain point they start to clip and you lose the definition in the colors. I'd much rather have deep rich colors extenuated by some awesome contrasting compared to big bright spots. Remember, not many movies have solid whites full screen for long periods of time. So the perks may be more underwhelming then expected. I wrote about this somewhere else on this forum just a few days ago. The current advantage of QLED is the brightness, but if a monitor is properly set, that advantage is greatly diminished. The MAJOR disadvantage of the QLED is that, like older models of LED's, it is back-lit, which means that brightness of certain areas "spills over" into other pixels that should be darker. In OLED's, each pixel provides it's own illumination. OLED's also do not need a heavy glass substrate, so larger screens that require a football team to move and set-up will not be as much of an issue. And with the current trend for bigger screens, 8K will look good on an 85" screen, even up close. Jacking the contrast ratio up and down on a TV in a store is a meaningless test of the quality of the display. Although the Magnolia section tends to have better lighting than the usual Best Buy display section for TVs, unless the manager has done a basic calibration the sets will not display their potential. Although Samsung TVs did have a reputation at one time for having a more vivid color display than say Sony, I don't think that is even universally true any more. I also recommend doing more research online before making a decision. 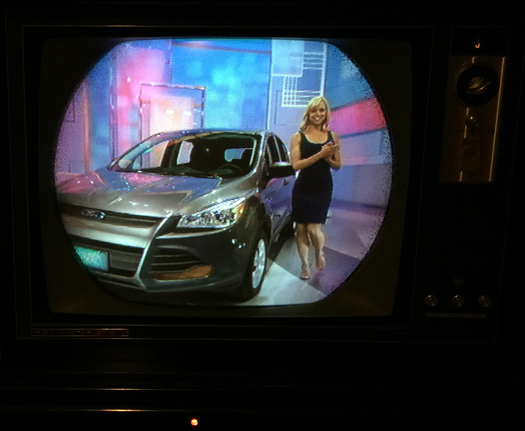 I recently had my Panny VT60 professionally calibrated and it made a world of difference, very life-like skin tones as well as color saturation that I was unable to achieve myself with a calibration DVD. What I learned from the calibration is you need to get the greyscale setup just right which is the basis for everything else...the rest is layered on the grey. That being said, I feel the newer sets look fantastic, but it's hard to judge the PQ of the sets in the stores not knowing if they have been setup properly. Also, if the salesman takes the settings and moves them all around, how can you accurately compare it to another set? One setting will compromise another, and so on. Then you need to consider viewing distance, which is a huge factor. Again, I like the new sets, but I hope my plasma keeps going for awhile. Until both displays are calibrated any test like that is basically meaningless. You take 5 of each of those TV's and each one between the brands will calibrate a little differently. So, as many of you know I'm not really into TV, but enjoy a movie now and then. That said, my approach to it has been basically the same as my approach to music. I prefer it to be as natural as possible. Therefore, when I compare what's showing on my TV I want it to look as close as possible to what I've seen in the movie theaters. Without getting into a projector set up I found plasma to be the closest. LED, LCD, OLED, QLED all look a bit artificial to me. Was looking at TVs also on Black Friday. As far as Samsung's line up, and LG's LEDs, they didn't really impress me. It may very well be a calibration issue, or a marketing directive saying customers wanted really vibrant colors, but I really didn't care for the displays. They played this minute long segment of a hummingbird, I think, building a nest. There was some brownish colored grass as well as green grass in the nest. Standing about 8-10 feet back from 55 and 65 inch sets, it looked like the green was bleeding into the brown, and while the brown grass was realistic looking, the green grass looked like it was more computer generated, almost AstroTurf like, than anything else. I did look at a few other scenes, and there was noticible bleeding in a couple of other scenes where there was supposed to be shadows blending into a lighter exterior area. Actually thought the Vizio M and P series out preformed both. The LG OLED, C7 and E7 series, pictures were pretty impressive, as was Sony's A1E, was pretty impressive. Colors looked more realistic, and didn't see any bleeding at all. Picture quality was impressive to very good about 35 degrees off axis. The Sony Z9 was, in my opinion the best LED picture out there. Truthfully, I couldn't really see a difference between it and the OLED sets, except that picture quality started degrading about 25 degrees off axis. Tied for first LG C7, E7 series as well as Sony's A1E series. Tied for Fifth. Vizio's M and P series. Seventh would be Samsung's QLED sets. Can't really comment on motion blur, as I'm not really in the market to purchase a tv at this time, and didn't want to take up a salesman's time to evaluate it. Like I said earlier, it could be just calibration issues on any of these sets that could change my opinion, and truth be told all the above mentioned are getting really close to my Panny Plasma picture quality. It becomes annoying. Eye fatigue. I have been to many home theaters. From big tv's hung on wall to projectors, I found almost all of them had one thing in common. The screen or display is lit like a torch. One guy was bragging about how nice everything was done. Hired professionals to build the theater room. Blah blah. A third of the way into a movie.. Hey, let's take a break I am getting tired. Fatigue from the artificial brightness that caused it. Go outside, smoke. Etc... Going tinto conversation I said. Wait.. We were watching Batman? Holy eff, I thought we were watching Smurfs. This vibrant, cool mode stuff. It makes every thing blue based. All nonsense. Same with the 30, 60, 120, 240 hz rate. Haha. Suddenly 24 hz carries a premium. The off axis image quality is definitely a continuing weakness with LED sets and something to check out in store as it is quite visible. If anything, the drive to go cheaper and thinner on the LED back lit sets has made off axis quality worse from what I have seen. Jesse I completely agree, that being said for me the cartoon effect and motion lag is what gets me. I had a Panny Plasma and now will look for something to view. Sony's for me look the best and from what i seen off axis is good but nowhere near as good as the Panasonic plasma's. Unfortunately like myself you one day will need to go a different route. Sad but true. Sony convinced me to move from Plasma. Their motion tech is quite good. Not perfect, but good. I have the 75” version, and love it. Off axis isn’t an issue for me as it is in an 11x12 room with a two seat couch for viewing, and is only used for movies. In a big room and used as a (obscenity) regular TV then off axis could be an issue. The off axis viewing on any LED tv isn't going to be as good as a plasma. This is why I have mine set up in a corner, so the percentage of the room that can view the tv is larger. Oled has a nice picture. but Sony is real close and with better motion controls. Motion lag is a peeve of mine and I won't own a TV with any sort of it. Who wants to watch sports with motion lag anyway. Motion lag is a peeve of mine and I won't own a TV with any sort of it. Who wants to watch sports with motion lag anyway. It's especially bad for gaming. Press a button on the controller and by the time the TV processes the signal and fires it off to the screen the results are a half a second behind what you're doing. I always turn all post processing stuff off, all of it. 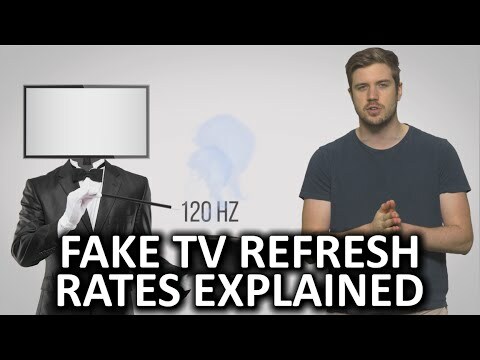 TV manufacturers shouldn't be able to advertise 60Hz panels as 120Hz because of their fake motion effects, it's still a 60Hz TV. Agreed, the 240 hz sets are better in that regards though. I'm not a gamer, so I have zero experience with your complaints. All the cheap sets on sale this Xmass season are the 60 hz panels they can't get rid of. Just a buyer beware as we all know, ya get what you pay for. There's no such thing as a 240Hz TV, it's just marketing. 120Hz is the best it gets for a TV, computer monitors go higher. Even with a real 120Hz TV most everything you watch is 60Hz anyway, Netflix, Blu-ray, etc. On my LG the setting is called TruMotion, it looks very fake with it turned on but it allows them to falsely claim 120Hz when it's only a 60Hz panel. Which, the TV or the girl? Plasma is 600hz supposedly so when going from Plasma to LED it is quite the shock. Yep. Refresh rate to me is the biggest determinant for a TV. I wish they would stop increasing resolution and focus on improving refresh rate. Maybe there is a hard limit that they can't get past? Maybe there is a hard limit that they can't get past? I'm speaking more about current tech TV's. Refresh rate has been stuck for a while. Plasmas died out when 4k hit the market. My gut always told me that they couldn't efficiently compete at that resolution and so the technology died. Skip, plasma TV's were gone before 4k hit the market.